Health and Beauty Girl : Distracted Driving | One Split Second Can Change Your Life! 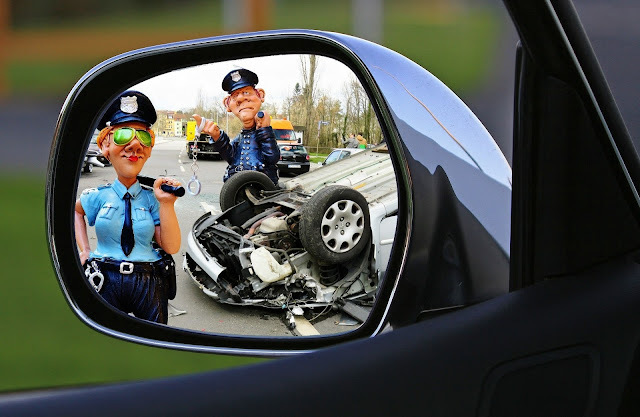 Distracted Driving | One Split Second Can Change Your Life! Today's post is a bit of a departure from my regular posts. I'm writing this post to bring awareness of the devastation that can occur as the result of distracted driving. Most of us, myself included, are guilty of distracted driving at one time or another. We often become complacent and are so busy multitasking these days, constantly reaching for our smartphones, or maybe we are distracted for other reasons. Did you know that distracted driving is the #1 cause of deaths on Ontario roads!? Last week, my uncle was struck by a car. He was out for his daily walk and the driver wasn't paying attention, ran a stop sign and hit him. My uncle incurred a traumatic brain injury, 6 skull fractures, and remained in a coma until the other day. He is now somewhat awake but we have no idea what the outcome will be, as the doctors say things can go anyway. My Uncle is hooked up to about 20 various tubes and also has tubes draining the blood and fluid from his brain (among other things) to keep him alive. At this time, all we can do is wait on pins and needles, pray, hope for the best, and wait and see what happens while the Doctors do their best to help him recover. Despite my Uncle's injuries, I also cannot imagine what the driver must be going through. I know I couldn't live with myself if I hit someone. So, I am hyper-aware while driving now. I hear about too many people getting hit by distracted or impaired drivers all the time. Just the other week, there were something like 16 pedestrians hit by cars in Toronto, Ontario. Many of us are guilty of being distracted while driving, myself included. But I am making sure I pay full attention at all times now and I want to bring awareness to this to save lives! I wouldn't want to be in the shoes of the person hit (I was hit by a streetcar many years ago and it was life changing for me), nor would I want to be in the shoes of the person who has hit a pedestrian. 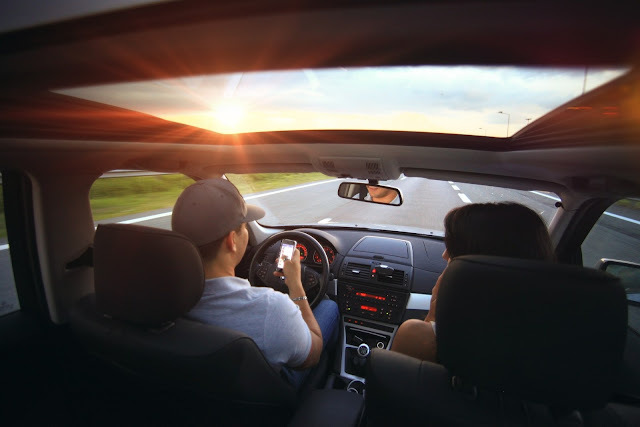 There are brand new laws on distracted driving that will be in effect on January 1, 2019. The new laws will be much tougher on drivers. If you hit a pedestrian while driving distracted, you can even face jail time! Distracted driving isn't limited to those handling their phones while driving. You can read more about what constitutes distracted driving HERE. With the ambitious goal of gathering more than 20,000 pledges, the campaign aims to raise awareness across the country and encourage positive driving habits. Each pledge will result in LGM donating $1 towards education and research on road safety, up to $20,000. Proceeds from the dollar-per-pledge initiative will go to the Traffic Injury Research Foundation (TIRF). There are many more resources you can find by searching the internet. With it becoming darker much earlier, we have to be even more vigilant while driving. It can be very difficult to see pedestrians, especially if they are wearing darker clothing. I have to admit, that I no longer take walk outdoors, with the exception of trails out in nature. There are just too many people getting hit by distracted drivers. If this can happen to my super health conscious Uncle who is always so careful when he goes for his daily walks, it can happen to anyone! My family really appreciates all the well wishes and prayers that we have received from everyone! Thank you! 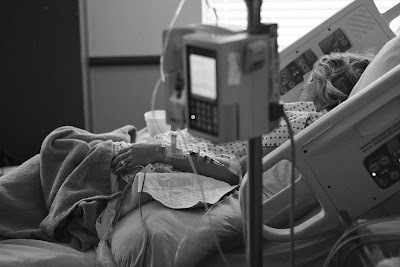 December 4th, 2018- Update- My Uncle remains in a coma. So sorry to hear this Amy. More awareness campaigns need to happen. Sending prayers for your family.